T he exploration of living cell is the major technological challenge for the 21st century. From a physicists perspective, DNA and proteins are nano-machines that function in the crowded environment of the cell. For technological applications we have to extricate different cell components and confine them to a solid state device – to form a hybrid system. Currently, the most promising concepts for low cost, high-throughput DNA sequence mapping and/or sequencing are based on DNA arrays (confinement in two dimensions) and on nanopores – DNA translocating through nanometer-sized pores (confinement in one dimension). Confined DNA hybrid systems should be capable of label-free electronical readout of the sequence, without costly labeling and enzymatic reactions. The ability to sequence DNA quickly and at low cost is essential to e.g. the studies of antiobiotic resistance, evolutionary studies and enables the personalized medicine concept. The immediate objective of our project was to combine the expertise available at the Institute of physics, Zagreb (IFZ) in the fields of surface and DNA physics. Our goal was to open confined DNA hybrid systems studies in Croatia, in partnership with the Laboratory of Nanoscale Biology from École polytechnique fédérale de Lausanne (EPFL). Understanding the charge of DNA, surrounding ions, and potentials within the constraints of an array or a nanopore are a fundamental requisite. We intended to create and test two original hybrid systems. 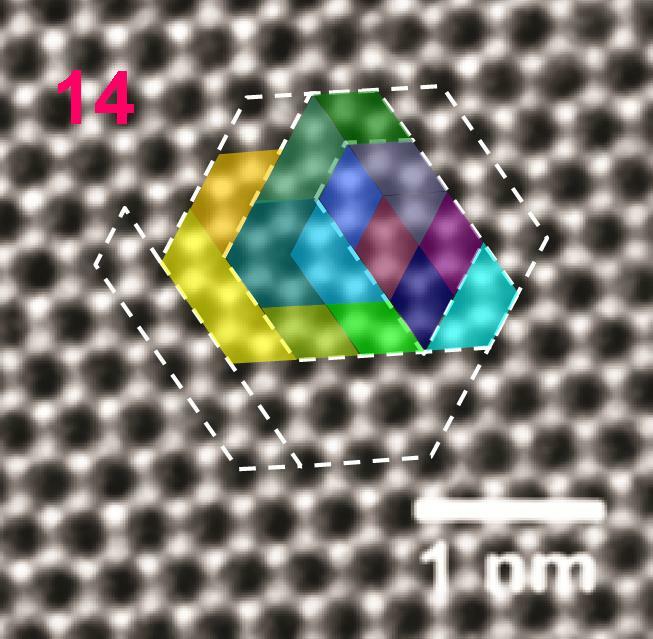 One is the DNA attached to a nanotemplated graphene. Such a template may lead to formation of a highly ordered and dense DNA array in presence of multivalent salts. This structure might become a route towards label-free electronical readout of the sequence. The other system is DNA translocating through a pore created in a graphene base device. We tested routes towards increasing significantly the translocation time. Achieving these goals demanded from us to coordinate several well-equipped and staffed laboratories at IFZ: Scanning probes Lab, X-ray scattering Lab and Lasers for applications Lab. Enhanced activity focus and the training by EPFL lead us to fulfill a broader objective: our Labs became capable to support Croatian research community and industry in the studies of systems much more diverse than those addressed in this project. T. Vuletić and M. Lihter, along with Prof. Rađenović group, published a paper in Nanoletters journal (IF=12.9) on a novel method in production of nanopores: Electrochemical reaction in single layer MoS2: nanopores opened atom by atom. This approach confirms that facility-free nanopore preparation has an important technological potential. That is, electrochemical etching of nanopores may be performed as an atom-by-atom process, controlled by simple electrical measurement set-up, without advanced electron microscopes or other facilities. 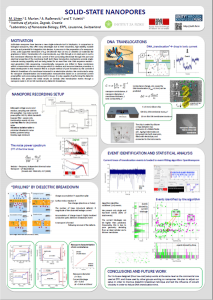 Our colleagues contributed by identifying and interpreting this nanoscale process from the electrical transport data. Paper (PDF)>>> MOVIE>>>Music of the atoms The movie is a representation of the nanopore etching process that we observed. 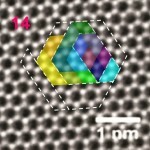 S. Marion from Institute of physics published in Nano Lett. 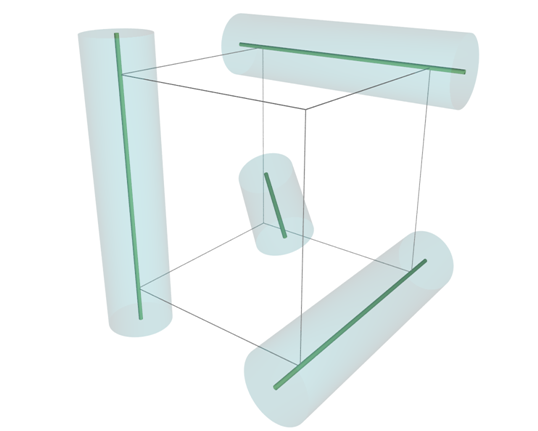 (IF=13.6 in 2014.) with our EPFL collaborators prof. A. Rađenović and R. Bulushev. The work “Relevance of the drag force during controlled translocation of a DNA-protein complex through a glass nanocapillary“ presents results of controlled translocation of individual DNA bound proteins with an optical tweezer trough 20-100 nm sized capillaries. The authors identified the contribution from electroosmotic flow in measured effective charge densities of DNA-protein complexes. This work represents the first step towards localizing binding sites of different proteins on DNA by nanopore methods. S. Marion contributed to the article trough interpretation and theoretical modeling of experimental results.